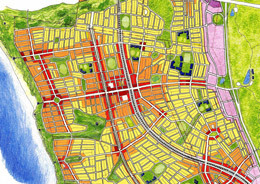 Ecologically Sustainable Design Pty Ltd delivers highly integrated urban design solutions for the public and private sectors, by means of stakeholder-collaborative Enquiry by Design processes. Enquiry by Design optimises outcomes for both new and existing urban areas, at all scales from the region to architecture. Based in Melbourne, Australia, ESD is a leader in the New Urbanism, practising mostly in Australia and New Zealand, and occasionally in North America, the UK and Asia. Chip Kaufman and Wendy Morris are the directors of ESD. 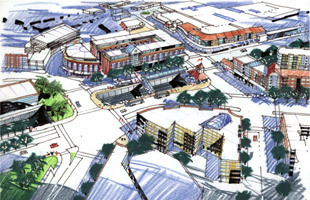 They have expertise in urban design, town planning and architecture.